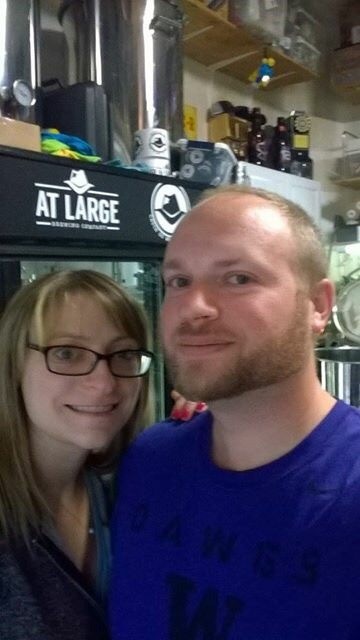 On the recommendation from Cole from Its In The Shadow Brewing, we decided to take our time heading home and stopped by At Large Brewing. I am glad that we got this recommendation because it was a brewery we may have otherwise missed on our tour through the Marysville/Arlington area. At Large was a passion project started in 2010 that (I’m happy to say) became a business a couple of years and some permits later. 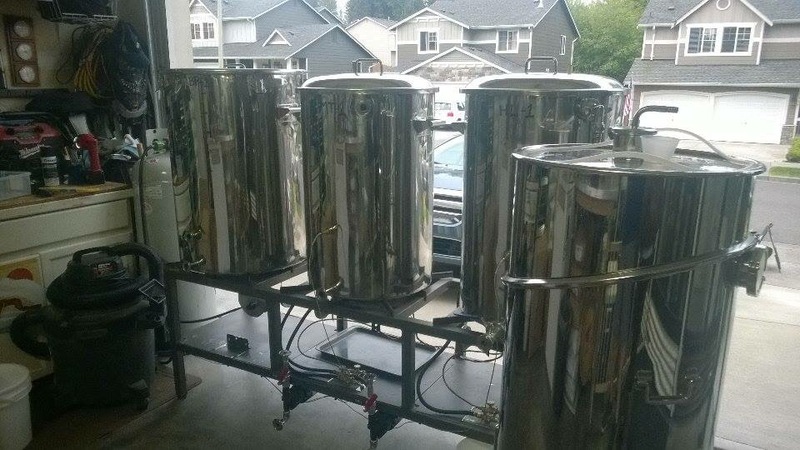 Currently At Large is a home set up that offers growler fills. Tastings are available prior to a fill, but they are not a fully functioning taproom offering pints. 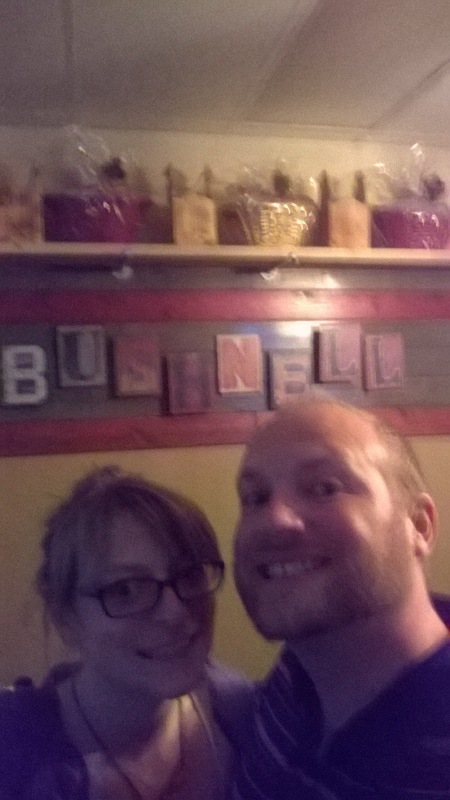 We tried most of the beers on tap, the standouts for us were the Bonnie and the Clyde. The Bonnie is a Session IPA, with its lower alcohol content its a beer I would love to have a couple of at an afternoon barbecue (as this is probably my third barbecue reference, I should note that it is currently late May in an unseasonably warm and dry spring in Western Washington). The Clyde, heavier in alcohol content, is a great beer to sip on your porch on a warm evening while you are updating your beer blog. Trust me, I speak from experience. I like At Large and I’m looking forward to seeing them grow in the next few years. The Clyde IPA rivals many other popular IPAs on the market and if I were to see an At Large beer on tap, I would quickly grab it. I would recommend their beer to both an elitist as well as a novice. In my opinion, At Large has succeeded in brewing solid beers that anyone can ENJOY. A note to anyone who wants to visit the brewery: The brewers are friendly and welcoming, but please respect the fact that this is a residence and not a bar. After our brief stop at Skookum it was time to take on the Whitewall. Legends tell us the mysterious Whitewall rises out of the depths of Marysville and very few have been able to conquer it. But Samwise and I were determined. The Whitewall will not stop our journey. Whitewall looks like your traditional brewery. We walk in to see a food truck in front, popcorn machine in the back, live music being played below their roll up garage and the Sounders game on the big screen TV. Yeah, that is a brewery. We wander up with our loyal dog Lupa (Who gets all the love at breweries) and order a beer. Since we are a few drinks in, we don’t get a sampler. A local man tells me I need to order the Retread, their Red IPA. I instantly fall in love and get a growler of it on the spot. It is that good. Sadly, this is the only beer I get at Whitewall. Luckily though, Sam lives close to the brewery and I want to try the rest. 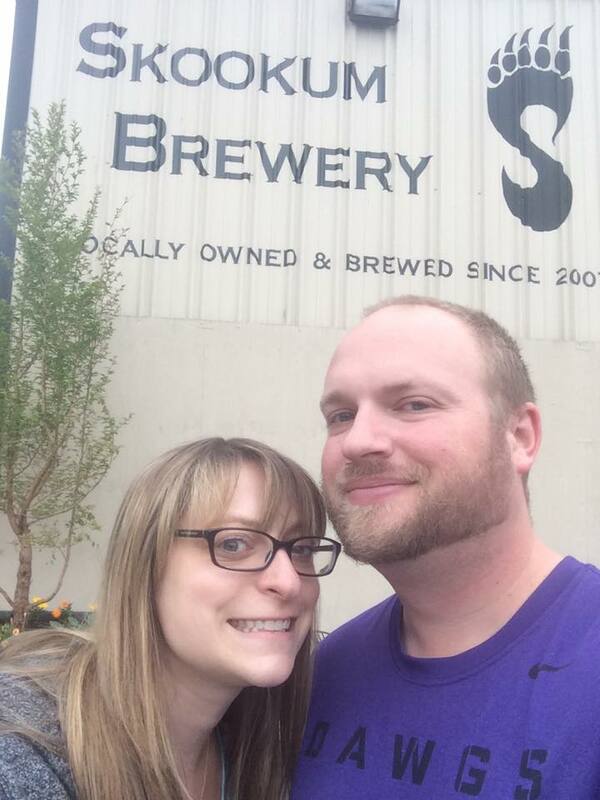 I loved the feel of the brewery and I loved the Red IPA. The owners are super nice. Were very friendly and chatted us up for a while. I love that in a brewery. Those guys are awesome. After finishing off pints at Whiskey Ridge, we descended down the mountain and worked our way to Skookum. Skookum is a common Chinook Jargon word around Washington. You’ll see rivers, lakes, flats and more importantly breweries with the name Skookum. Skookum has a plethora of meanings, but all of them have a positive meaning. So ladies, if you think a guy is looking strong, work the word ‘skookum’ into it. Fellas, if your buddy just totally hooked up with that girl you can say ‘skookum!’. It’s a truly versatile word. Also, it is a name of a Sasquatch-type monster. Skookum! As for the brewery. It is one of my favorites. Their Jackass IPA is one of the best IPAs you’ll ever drink. In fact, they have amazing IPAs in general since the Olde Tom is also fantastic. I also suggest the amber, the pale, hell, just go already. You don’t need me to tell you how great it is, just experience it for yourself. They have food too. I didn’t get to try it, but it smelled good. Although, I do have 2 drawbacks. They are cash only. They do have an ATM but it charges a fee. Lame. Also, absolutely terrible website. Just don’t visit. 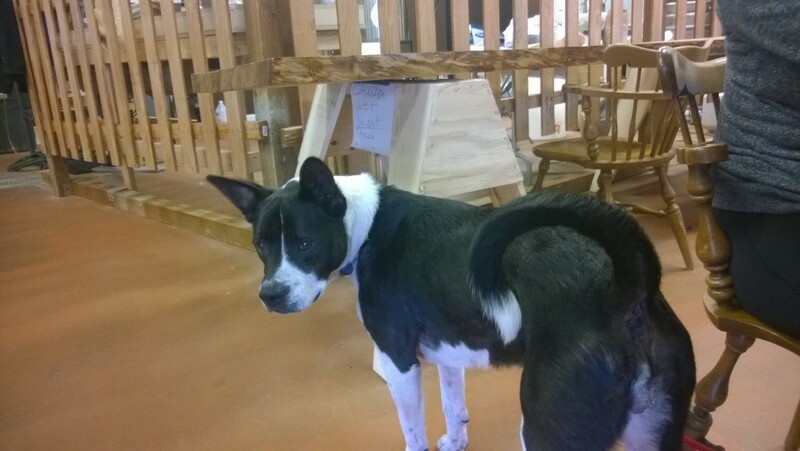 Skookum has grown a lot over the years. The first time I went there it was down a gravel road into someones house. Now they are all grown up. Skookum! Oh yeah, 9/10 – a must! After we hitched up the ole’ Fiat and wrassled up our traveling dog Lupa, Samwise and I moseyed on down to Whiskey Ridge. To get to Whiskey Ridge from Granite Falls, you must follow South Fork Stillaguamish River for several miles before you set your eyes on the beautiful Whiskey Ridge. 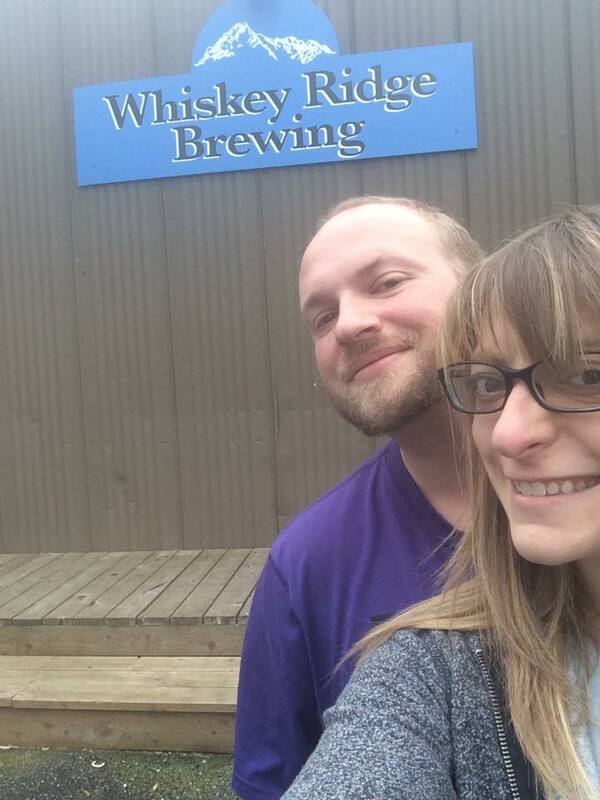 First thing first, there may not be a better name than Whiskey Ridge Brewing. There aren’t many things I love more than whiskey, ridges and beer. Set in a neat little building just off the main drag in Arlington, the brewery has a nice little feel to it. Only open for 2 months, you notice right away, they are still trying to find their decor with the brewery. They have an idea what they want to do (And you can do a lot with the name Whiskey Ridge), but they aren’t quite there yet. But again, 2 months old. If I were them, I’d go with the wild west, gold mining, old timey theme. But what do I know, I’m from Renton. Now the beer. The beer is good. Samwise and I got a taster each, while Lupa wandered around the brewery, getting in the way. I was a big fan on the Red Bridge IPA (Made with citra hops) and the Naughty Jim Dry Irish Stout (Which has a great and somber story about it, ask the staff). They also their Dead Dog (Not Lupa!) Oatmeal Stout, Clear Creek Kolsch (refreshing), and Muerte de Peludo (made with chiles). Overall, I was impressed with the beers. Sadly they were out of the Logger Lager, which I really wanted to try. Overall, I’ll give this place a 7/10. Only because I want to give them room to go up once they design the brewery more. (Cool themes are a big deal to me, shut up). The beers are VERY solid and if you’re up north in that area, give it a try, you won’t be disappointed. It was time. Our journey was destined to take us deep, deep into the darkness. We gathered ourselves and our brew dog, Lupa and embarked in the fiat. We drove deep into the trenches of Washington, past Lake Stevens and into the depths of Granite Falls. The fiat (and Lupa) were brave as we journeyed In The Shadow. As soon as we met up with Cole, everything came to light. In a word, this place was neat. 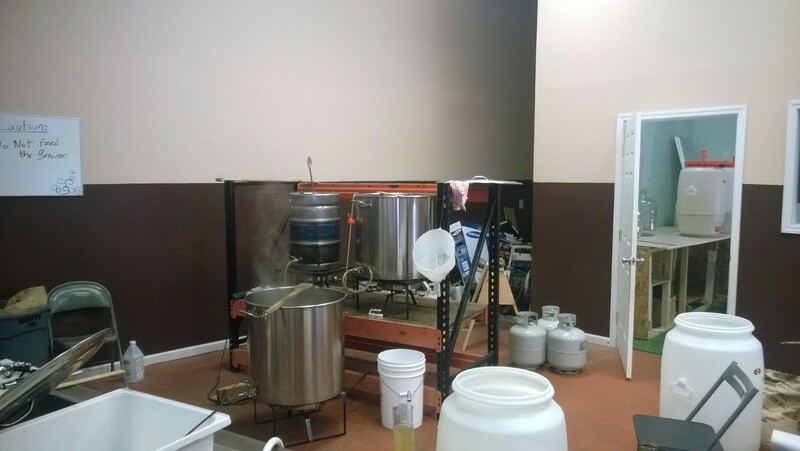 The brewery is located in a small building in his backyard, and it might be Washingtons smallest taproom, with one table and two chairs, but it’s a full service joint. 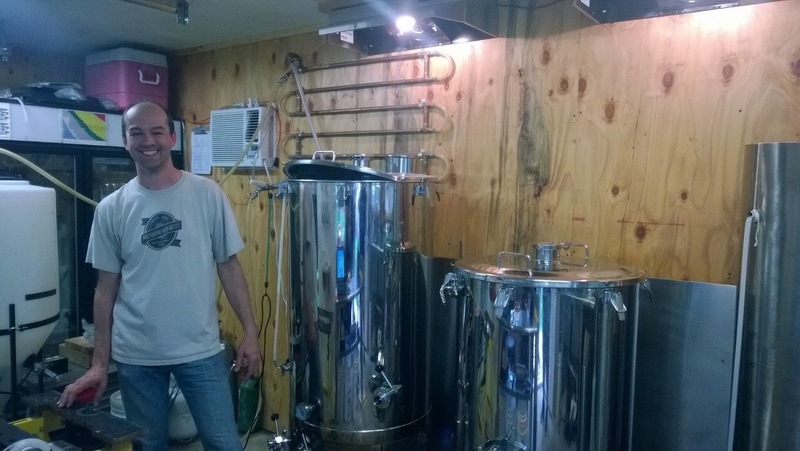 He offers full pints and tasters as well as front row seats to his brewing process. I sampled all of Coles beers and two of them stuck with me the most, the HBL (blonde) and the pale. I want drink the HBL on a summer day at a barbecue. I have a feeling that the HBL will be the beer this brewery is known for. 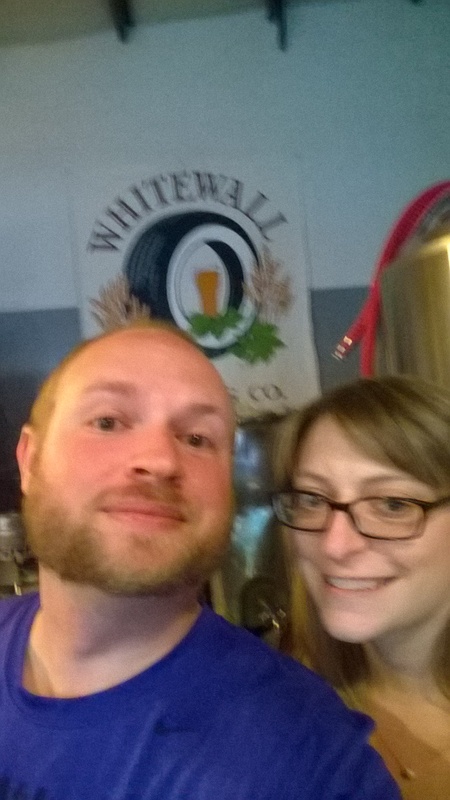 The pale was a solid, nice, drinkable beer (and the one we ended up taking a growler of). The IPA was more of an English IPA, which as a northwest girl feels a little like I’m cheating on IPAs, but still good. 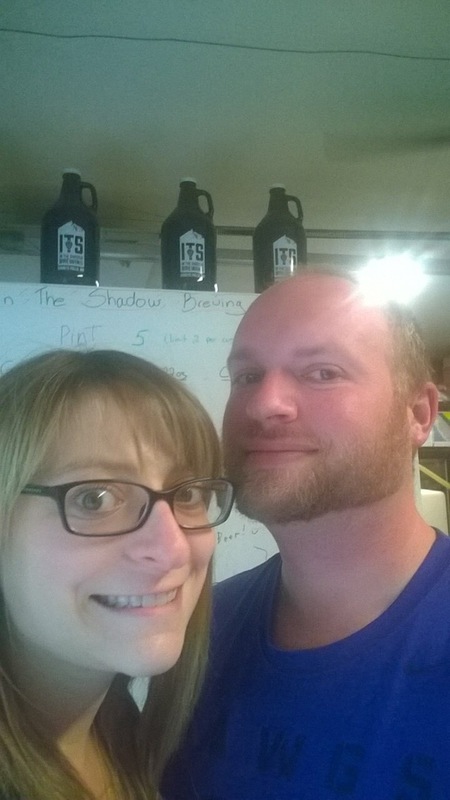 If you see “in the Shadow” on tap, Order it. Better yet, if you happen to find yourself near the Granite Falls area, make yourself an appointment. I enjoyed both the beers and Cole’s company. I’m excited to see what else comes from In The Shadow, I would give this place an 8.5/10. Crossing the mighty Mill Creek is never safe. Especially during the darkness of the midnight sky. Once we made it to the banks of the daunting Mill Creek, we only had a few choices, we either balk and do nothing or tackle the creek with the force of a 1000 suns. We did the latter. Mostly cause, beer. As you may know McMenamins are everywhere. They have 7 breweries throughout Washington, plus even more in Oregon. Hell, they are even opening up the Washington version of Edgefield in Bothell in October. Which will be a must see. There is a reason why they are everywhere though. They are very popular and for many of reasons. They make consistent beer, they have a cool atmosphere and GREAT food (Get the tots). As you may know, I said consistent beer. While I’m not the biggest fan of their beers in a whole, I did enjoy their seasonals – an ISA and Double IPA. Both were above average. I always will recommend McMeamins in a pinch. They are open late and always have a cool little theme. The Mill Creek one may be the least exciting of them all. But, just go enjoy their happy hour. You’ll like it. Overall 6/10 – Good, but not great. Sadly, we have no photo of Sam and I. I blame the beer. Bushnell Craft is one of the more comfortable breweries. The taproom is cozy without being claustrophobic, the staff is friendly and the atmosphere is warm and inviting. 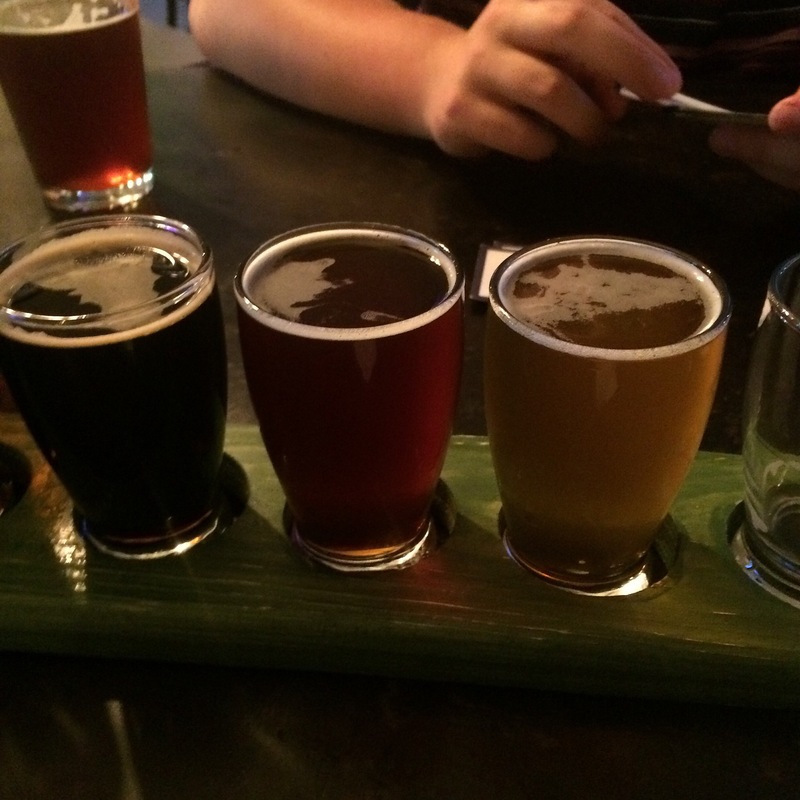 Bushnell Craft is a place you can stop in for a beer, an appetizer and a Mariners game. We even saw a family with young kids having dinner. The beer is good, maybe not outstanding yet, but solid and consistant; which goes a long way in my book. I like this place enough that we have very seriously considered becoming members on more than one occasion, unfortunately the cash or check only policy on the membership fee continues to hold us back. Overall, I’d give Bushnell Craft a 8/10, I would recommend it to anyone stopping by Redmond looking for a good place to grab a beer.